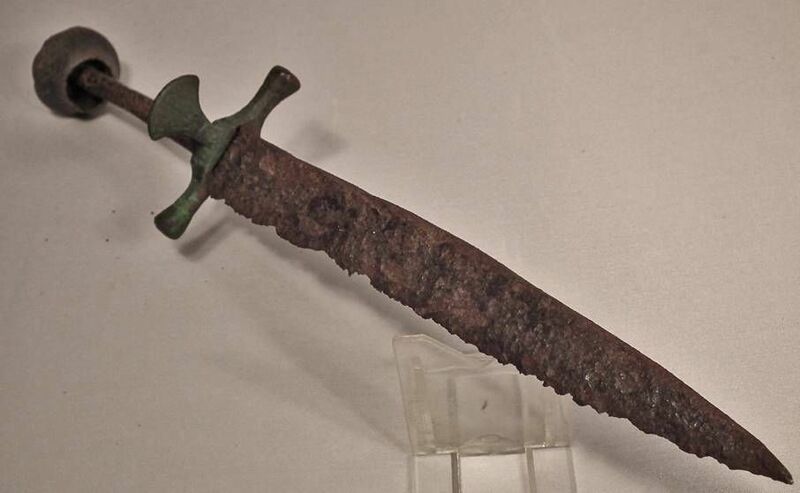 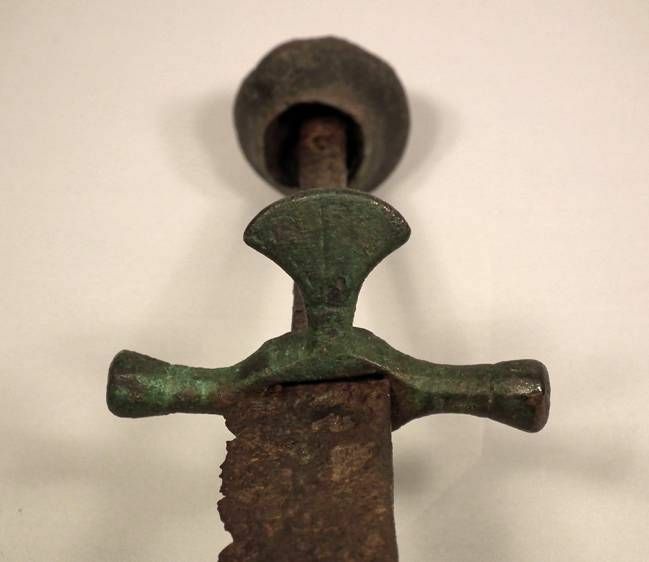 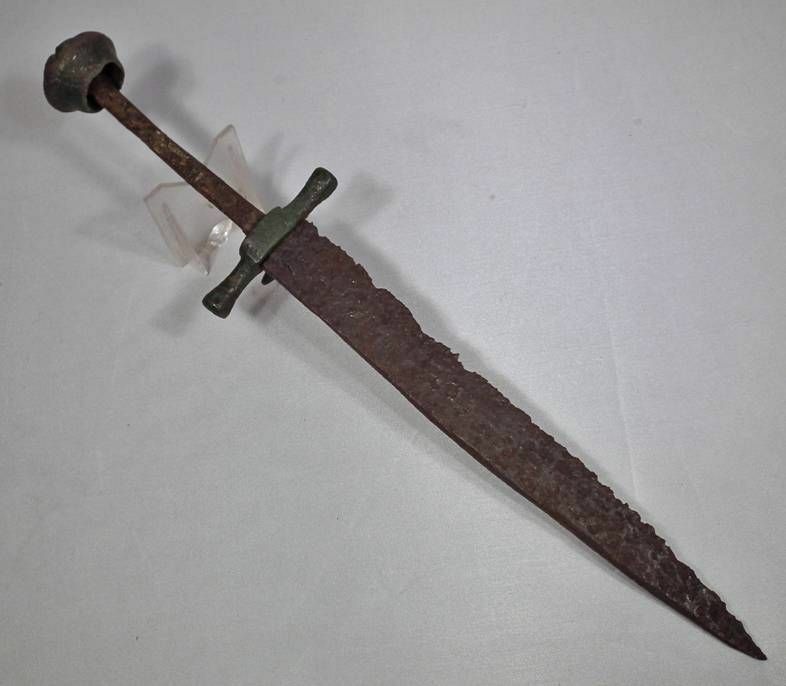 Antique 14th century English Medieval Knightly Quillon dagger from Yorkshire at the time of Robin Hood. 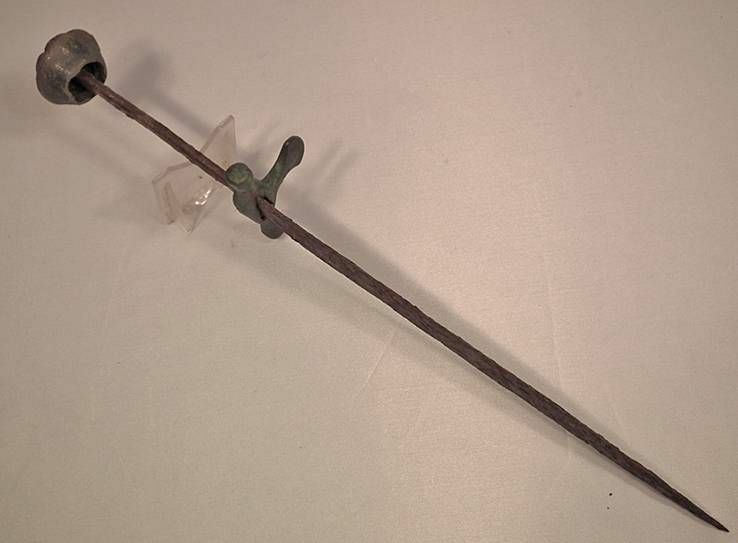 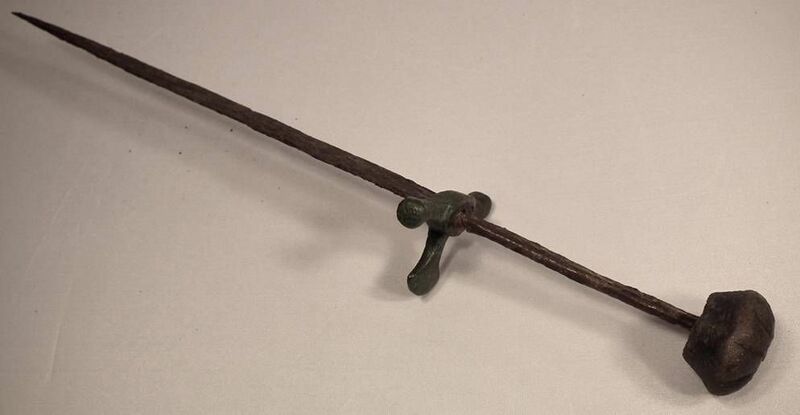 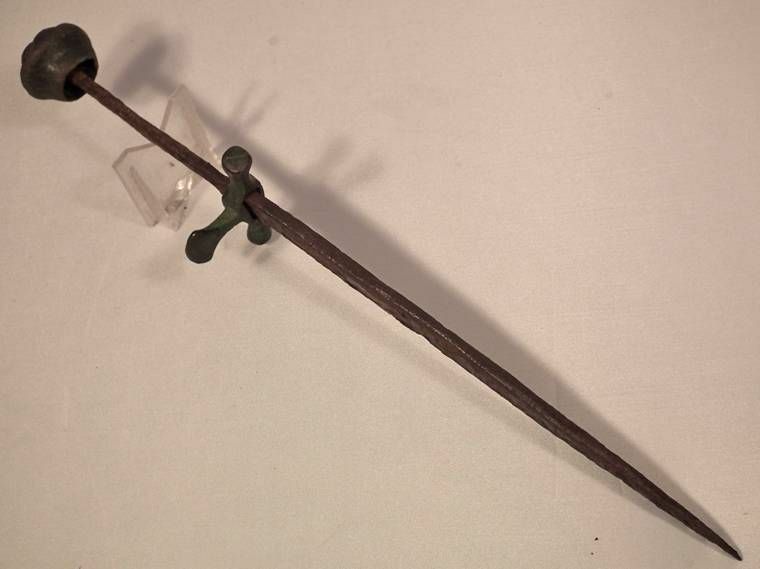 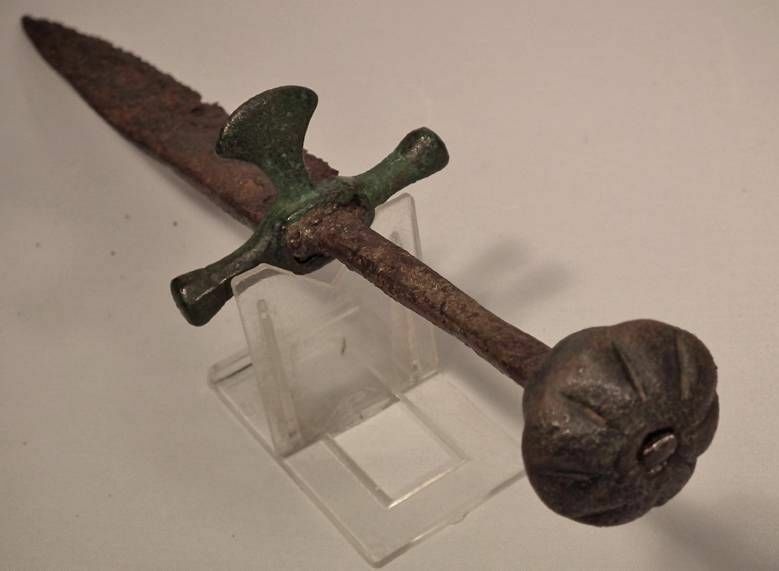 Tapering blade of flattened triangular section, bronze cross guard comprising a pair of short quillons with knobbed terminals and Pelta-shaped outer guard as well as a ribbed bronze cap pommel. 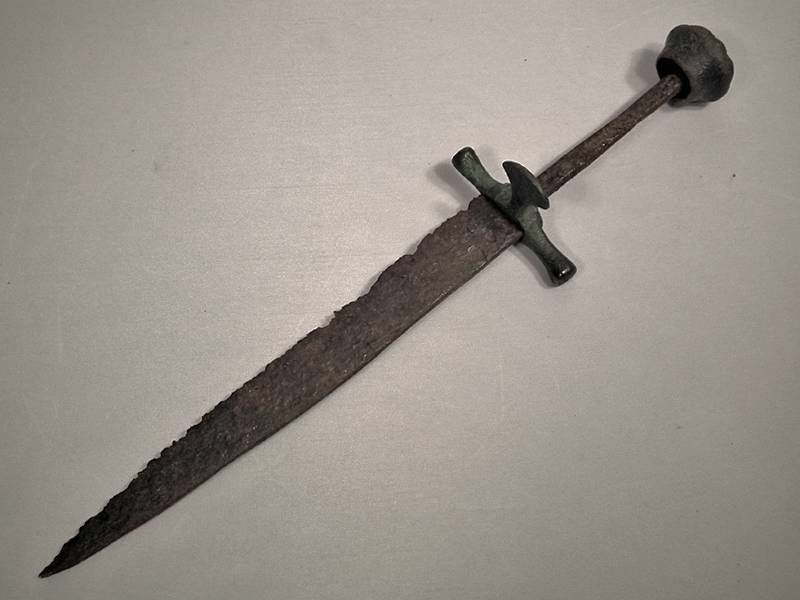 Overall length 30 cm (11 3/4 inches), length of the blade: 19.5 cm (7.68 inches).